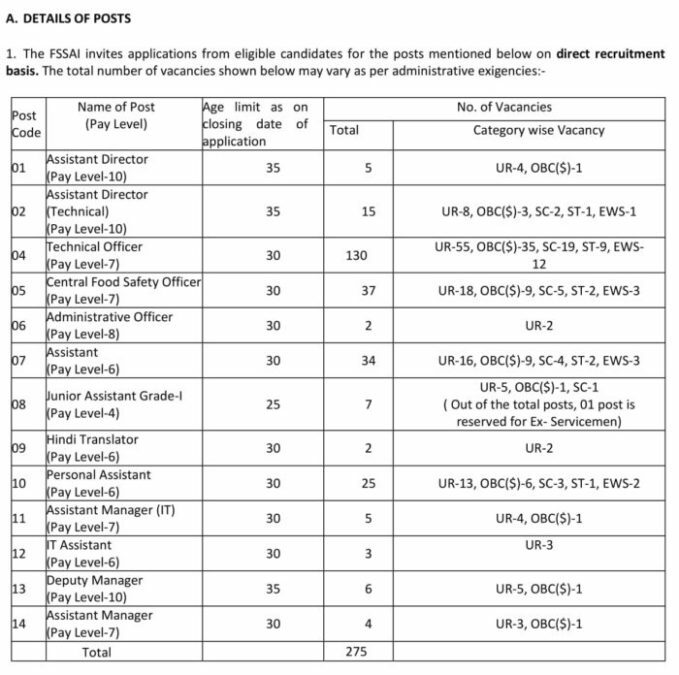 the FSSAI Recruitment 2019 : The Recruitment Notification has been issued for various positions by Food Safety and Standard Authority of India, in which posts of Assistant Supervisor, OA PA etc. are included in the complete information related to Fasai Bharti and 2019 such as Online Application Form Syllabus Exam Date Admit Card and All other information has been made available in this post. 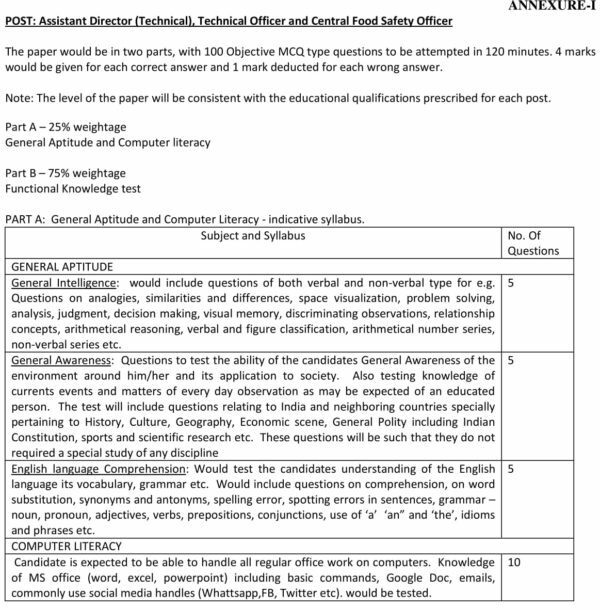 Post Wise Syllabus for Fssai Recruitment 2019 is given below, as well as the Exam pattern of each post, which you can see and get good marks in the Exam. Candidates are required to apply only online through FSSAI Website. The last date for submission of online application is 25/02/2019. For any queries email to recruitment.fssai@gmail.com.